Stories, Poetry and Photos from all over. I hope you enjoy your stay here. And please "Like" and comment if you wish. 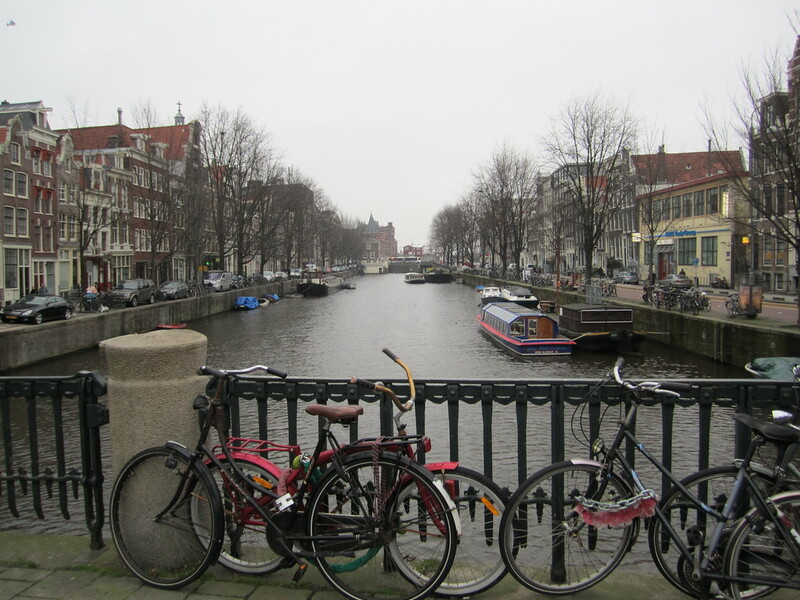 Amsterdam, the capital of the Netherlands, has about 62 miles of canals. There’s about 90 islands and 1500 bridges. 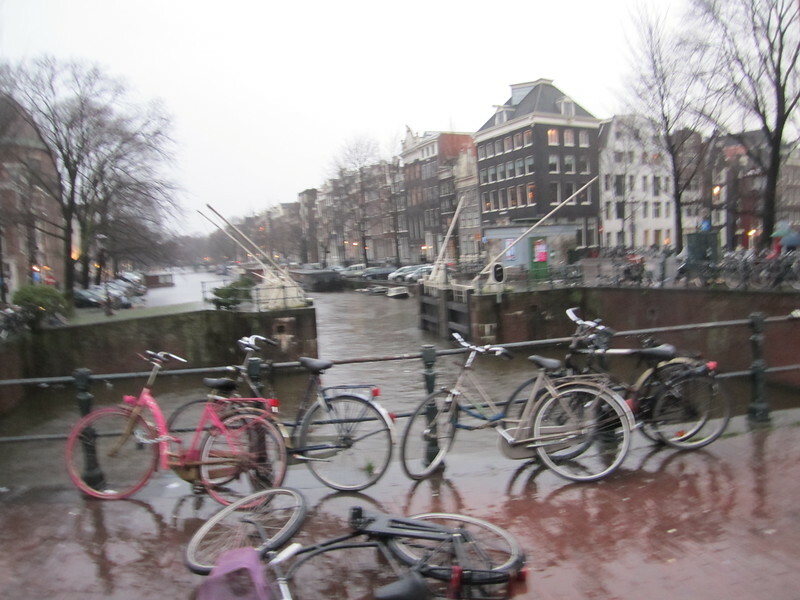 It makes Amsterdam very scenic and nice to photograph. 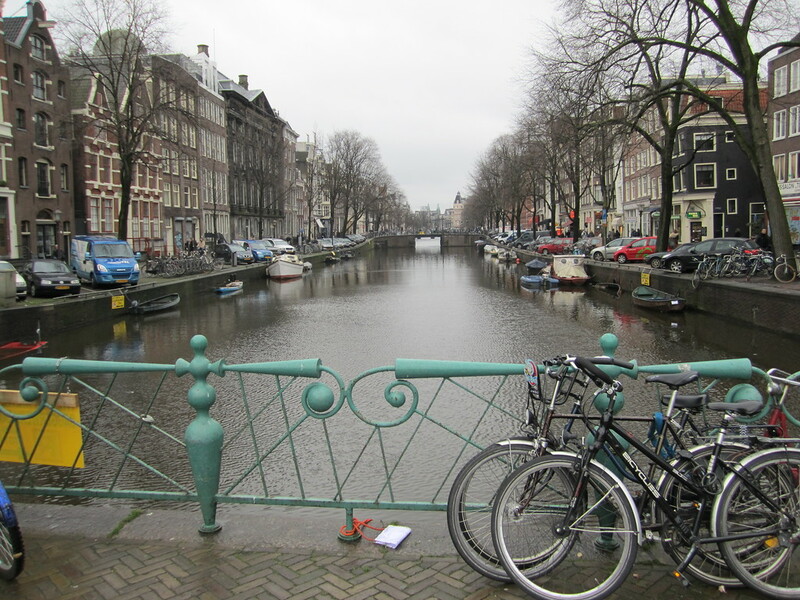 The three main canals, the Herengracht, the Printingracht and the Keizersgracht were dug in the 17th century, during the Dutch Golden Age. 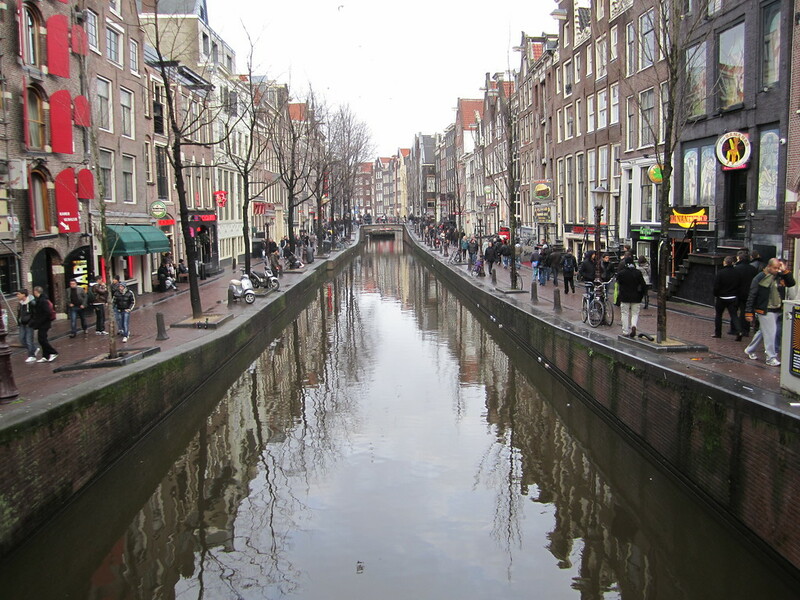 These three canals form concentric belts around the city and alongside them are 1550 monumental buildings. 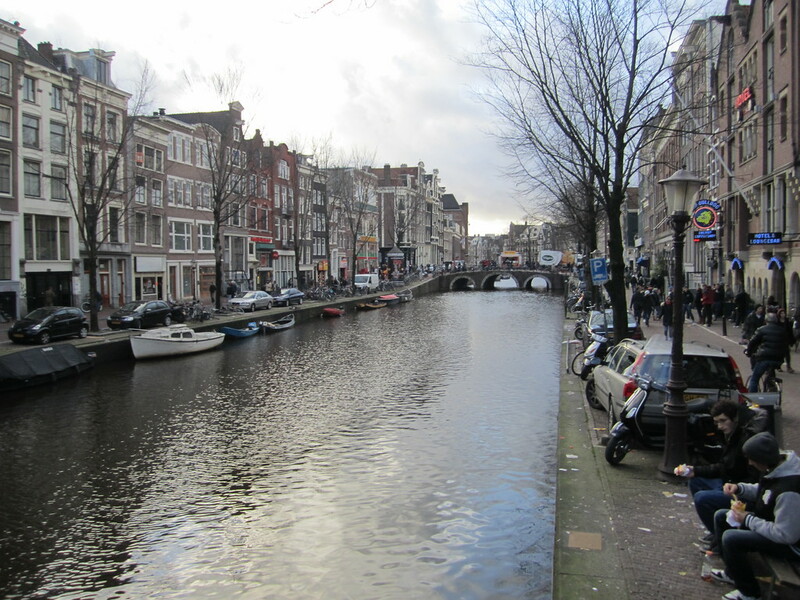 Amsterdam is referred to as “The Venice of the North”. It also has more bridges than Venice. 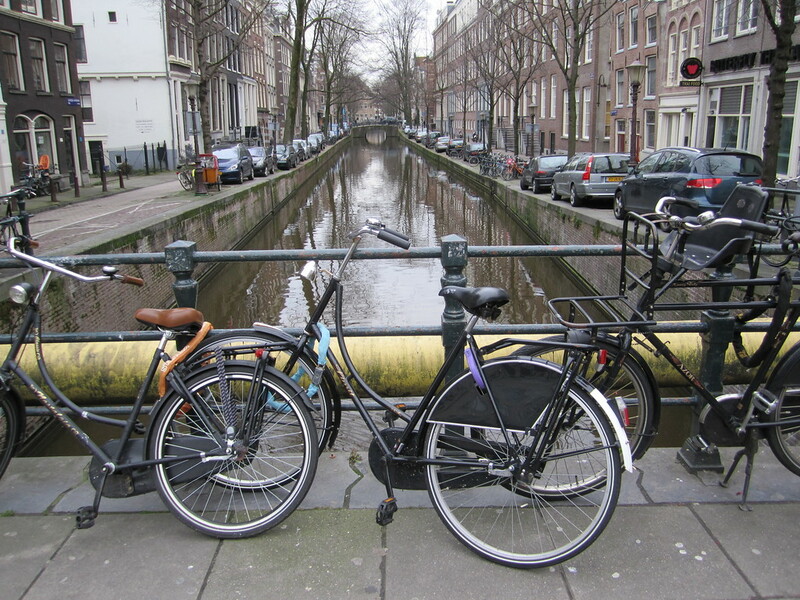 The canals are an easy way to get around the city. A municipal canal-bus system travels three different routes throughout the city. This canal-bus system gives locals an easy way to and from work and the tourists a quick way to get from one attraction to another on the water. The canals provide a popular place for recreation like boating and parades. In the winter, locals ice skate on the frozen waters then go for a cup of pea soup, called “Snert”. 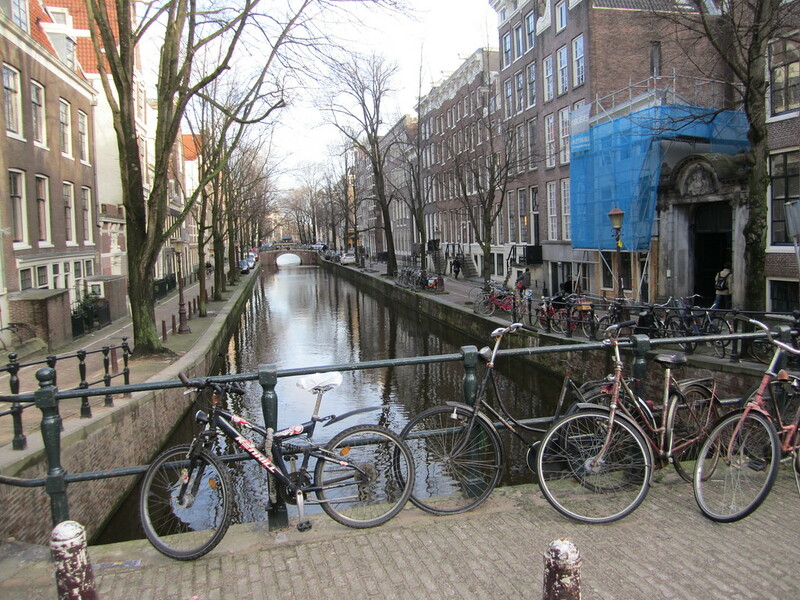 The canals also provide a home for those who decide to live on one of the many houseboats. You may be able to rent one for your vacation stay. By law, the houseboats are required to be painted every three years. 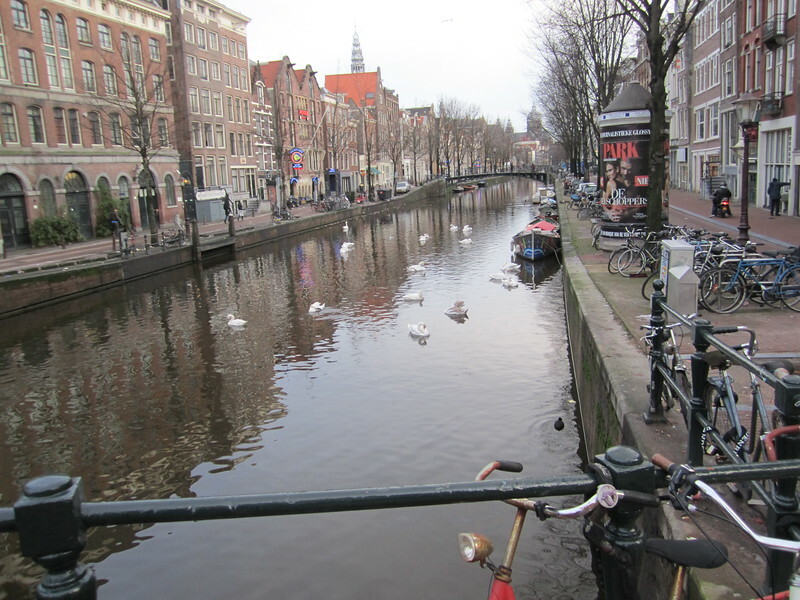 In order to maintain sanitary conditions, the canals are flushed out three times a week when the locks are opened and water flows in from the North Sea. 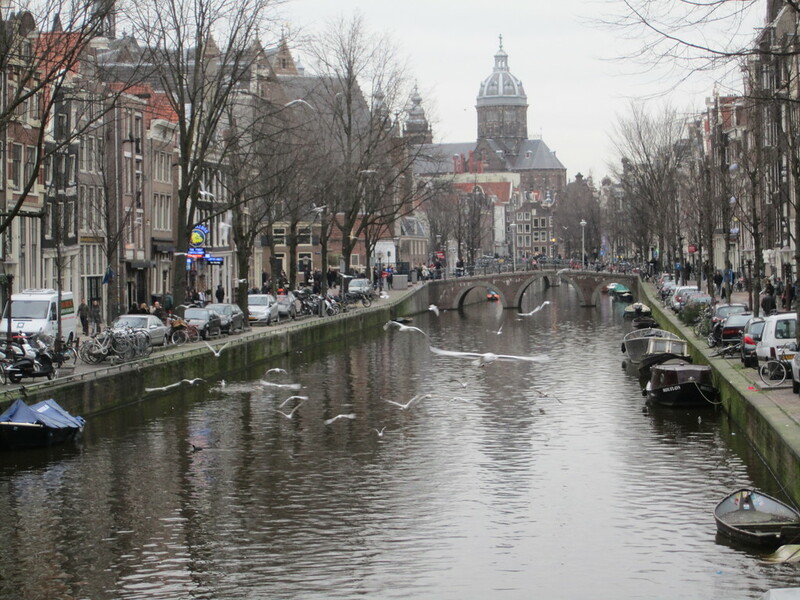 Even though the canals are flushed this often, it’s never a good idea to go swimming in them. 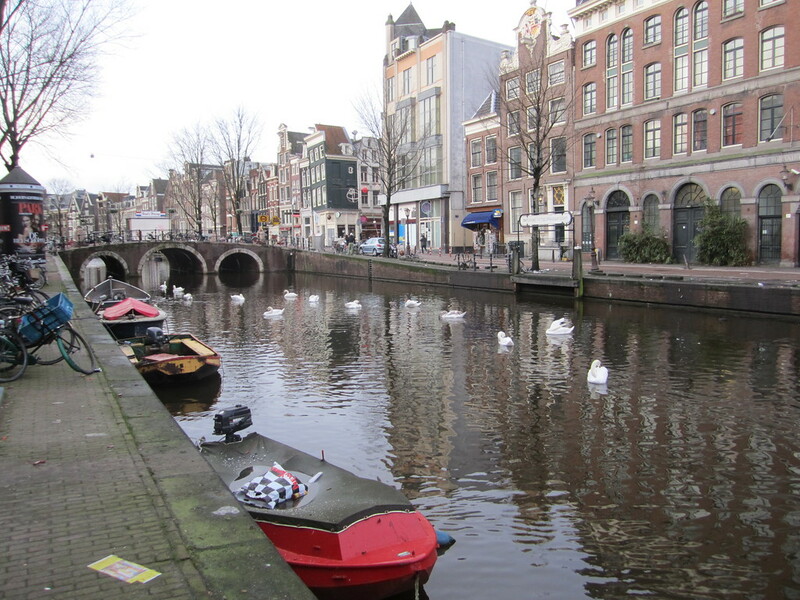 The many houseboats use the canals as sewage dumps. 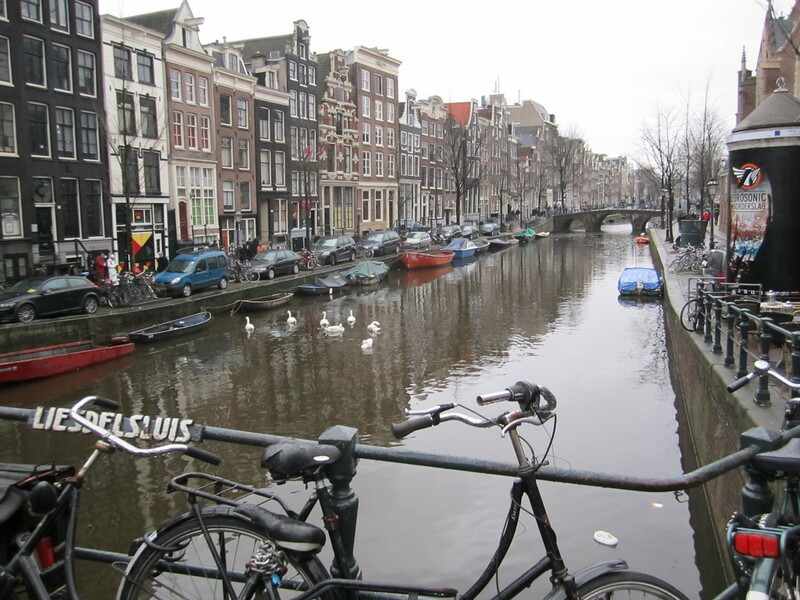 Since there are about 2,500 houseboats in Amsterdam, that’s a lot of waste going into the canals. 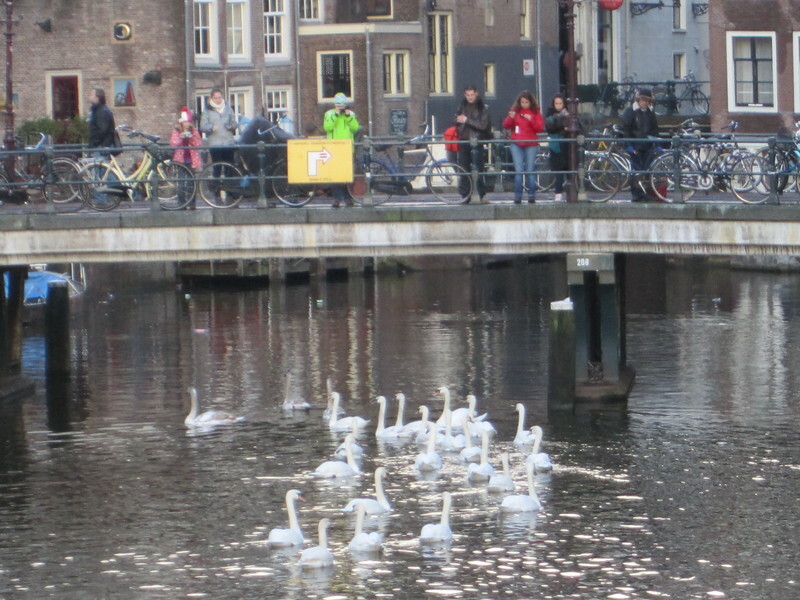 The Amsterdam canals celebrated their 400th Birthday in 2013. 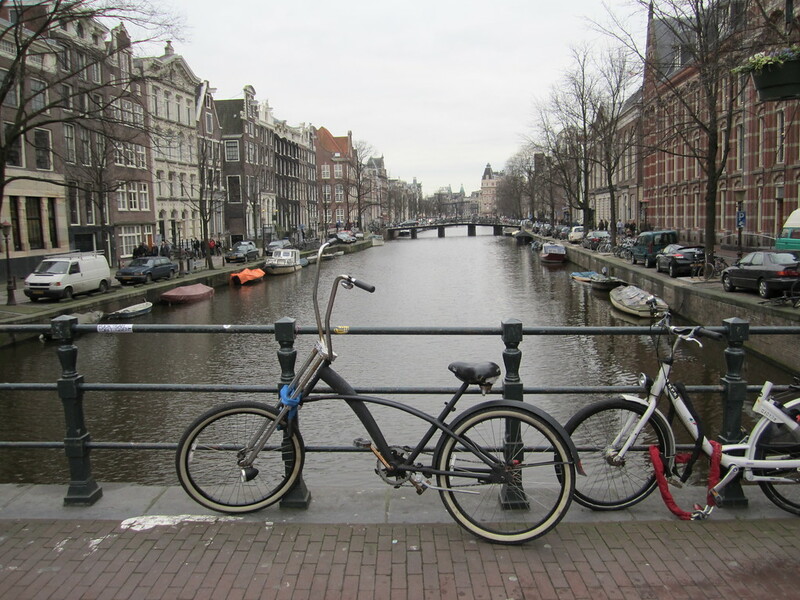 Every year, the city pulls up between 12,000 and 15,000 bicycles from the canals. They end up there from either theft or vandalism and end up as scrap metal. 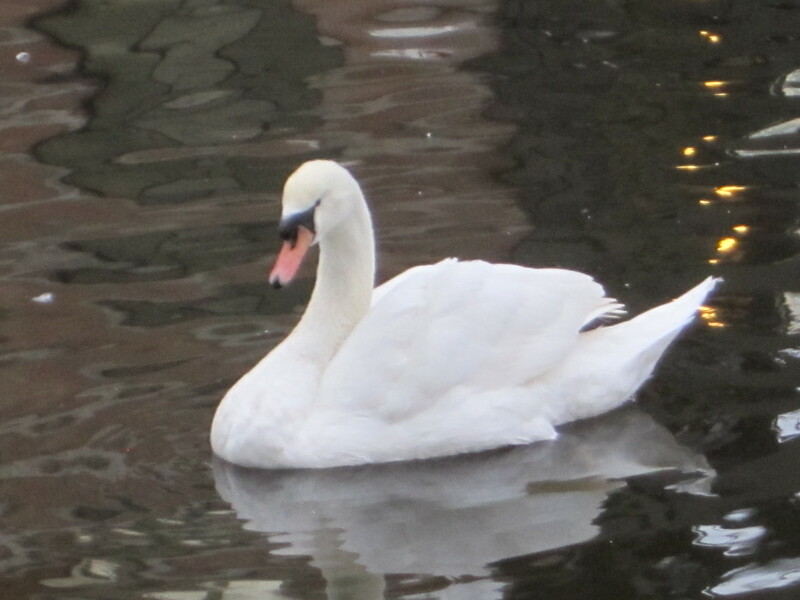 There’s many swans and ducks that call the canals home and some days you can see them fight over territory. 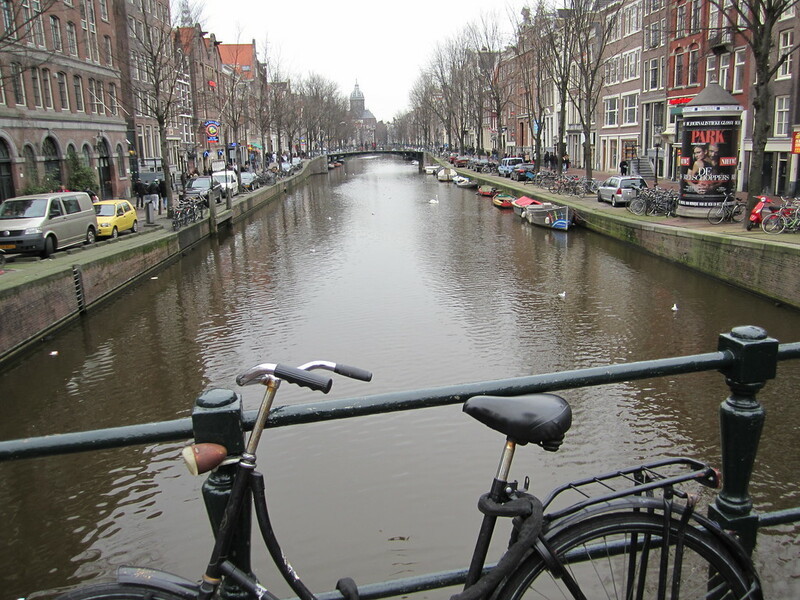 I hope you’ve enjoyed reading about Amsterdam canals. 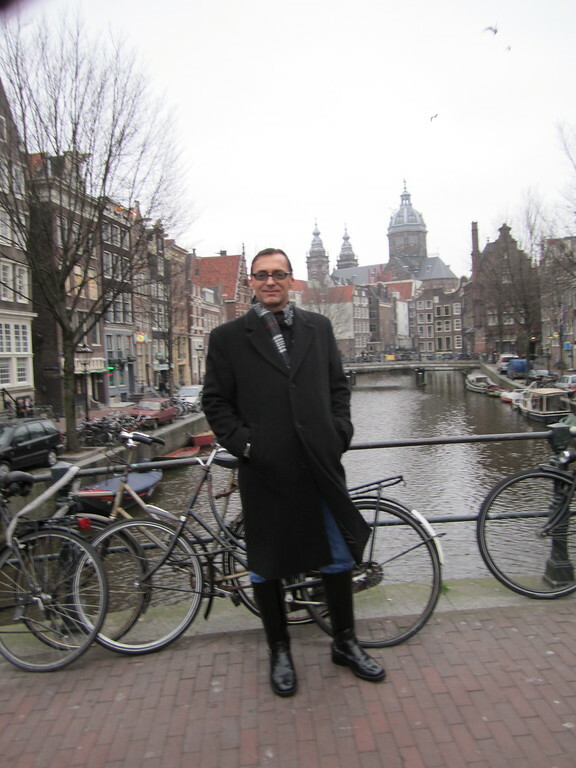 You can see more photos of Amsterdam and 25,000 more on my website. 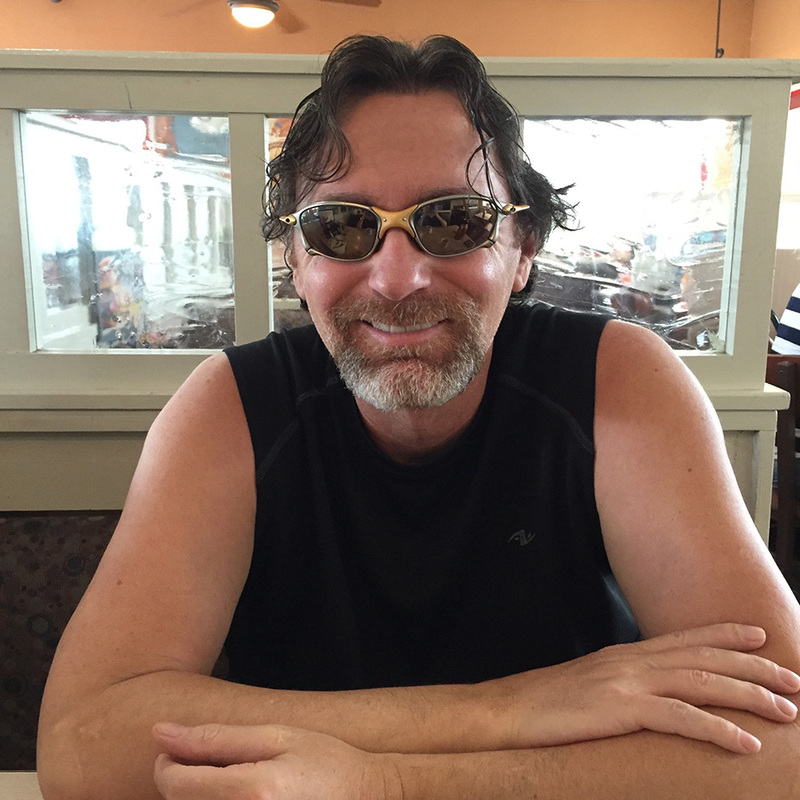 Also, you can ‘Like’ my Facebook page for updates as to what events and places I’ll be traveling to next.